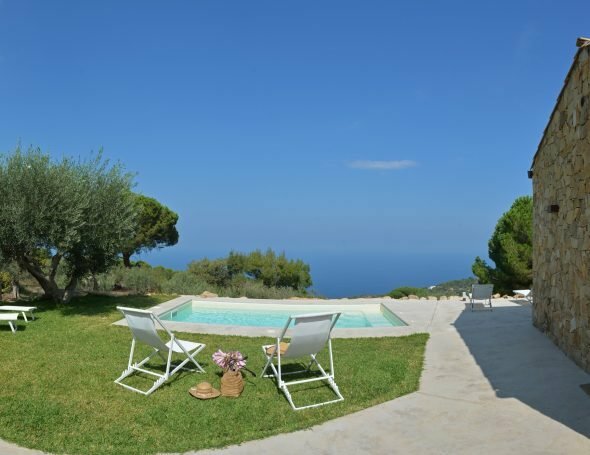 Villa Orangerie is a luxurious villa for 16 with chef, pool and private sauna, lush gardens, or by the beautiful swimming pool. The Orangerie is all about the luxury of relaxation, whether it be in the elegant villa, the private sauna, lush gardens, or by the beautiful swimming pool. A wonderfully spacious living area is situated on the ground floor, with large windows, wooden ceilings and welcoming sofas to accommodate large groups of friends and families. 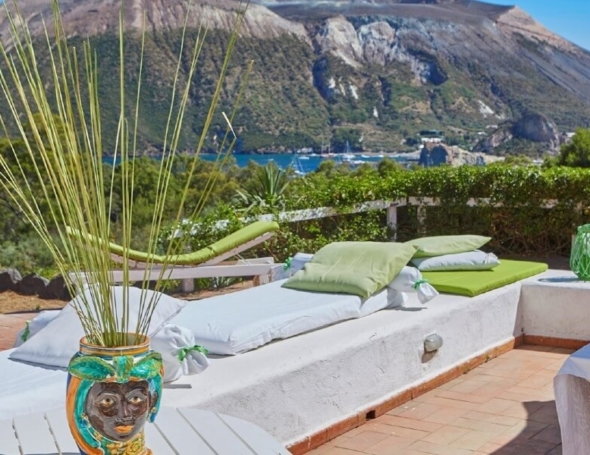 Villa Orangerie has eight bedrooms situated between the lower garden level and the upper garden level which are individually furnished and decorated with incredible attention to detail, each offering a wonderful atmosphere and total comfort. The rooms are equipped with heating, air conditioning and colonial ceiling fans. Sicilian ceramics and scented soaps adorn the bathrooms and crisp Egyptian cotton linens on beds ensure a relaxing holiday in total comfort. Lower garden floor – Courtyard Floor 1 x double bedroom, 1 x twin (one with ensuite shower/one with ensuite bathtub) private entrance off courtyard. 2 x twin (one with ensuite shower/one with ensuite bathtub) private entrance off the courtyard. (can be made into a double bed if required) .